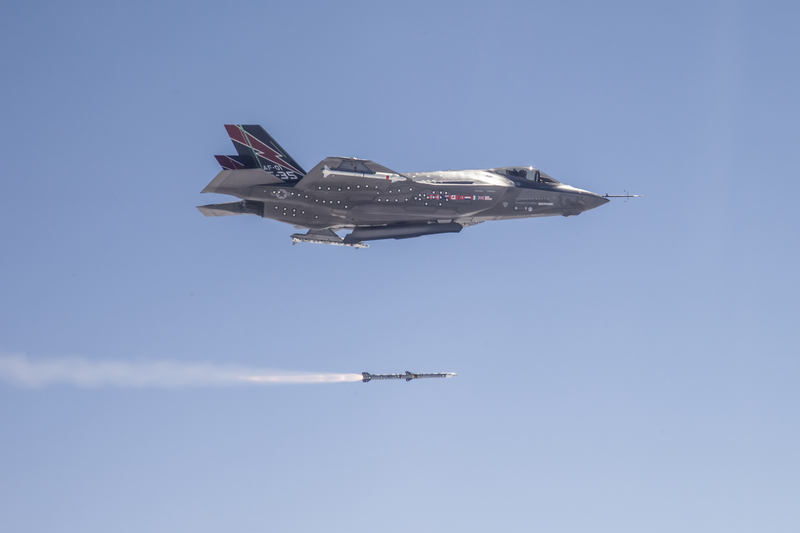 Lockheed Martin passed along this photo today of the F-35A completing the first in-flight missile launch earlier this week. The F-35A AF-1 launched an AIM-120 AMRAAM during a flight over the Point Mugu Sea Test Range off the coast of California. The missile was launched from an internal weapons bay. The test the first of several targeted launches scheduled this year as the Joint Strike Fighter prepares for its Block 2B software capability. The Air Force announced last week that it is looking for initial operating capability on the Block 2B software in December 2016.